Dubai: A common booking and payment app for all modes of transports, including Monorail, Dubai Trolley as well as e-hail or mobile app-based taxi services, is likely soon as the Roads and Transport Authority (RTA) announced the launch of an Integrated Mobility Platform (IMP) on Saturday. Mattar Al Tayer, director-general and chairman of the Board of Executive Directors of RTA, revealed that the IMP will give customers easy access to all mass transit systems through a single window or smart app. The RTA’s multi-modal transit systems, including metro, tram, buses and marine transit means, already have a common fare payment system called Nol, which has also been introduced on taxis as a payment option. However, the Monorail in Palm Jumeirah, Dubai Trolley in Downtown Dubai as well as private limousine services and the e-hail services like Uber and Careem have independent fare collection systems. These private modes of transports also have their own booking systems. This is the first time the RTA has announced integration of private transport modes with the Nol platform, which will come into effect in phases by the end of next year. On Saturday, the RTA announced the system integration will be done in phases, with the first phase covering Monorail and Dubai Trolley, while in the second phase taxis services such as Uber and Careem will be integrated through an app, enabling the user to book the service and pay the fare. The project will be undertaken in several phases and is expected to be concluded in 2017. Phase I includes developing the technological infrastructure of the platform, integrating RTA transit means and integrating limo services of the Dubai Taxi Corporation. 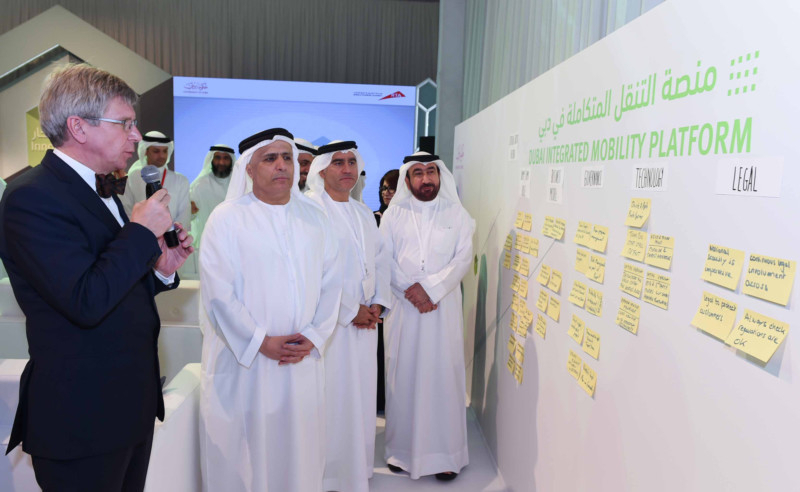 It will also include providing information about bikes, cycling tracks and racks, starting the issuance of operation permits for the electronic taxi booking services such as Uber, Careem and others, and developing a system for organisational monitoring of limousine services. Phase II covers integrating electronic taxi booking services, and establishing agreements with transport partners and integrating them in a partial manner with the platform. Phase III is concerned with holding agreements with most stakeholders to integrate them in the platform, and establishing the payment process offered by the platform using the Nol card. Earlier this year, RTA introduced new regulations for app-based taxi services, virtually legalising the increasingly popular networks like Uber and Careem. Until recently, such companies could only operate with an agreement with a licensed limo company using licensed drivers and often their services faced criticism by their ‘legal’ competitors, while also coming under the scanner for certain criminal incidents elsewhere in the world. Highlighting these issues, Adel Shakeri, director of Transportation Technology at RTA, told Gulf News recently that RTA wants to ensure that all the transport services are safe and secure. “We are monitoring closely how well we can regulate all the services and how the services can be improved, particularly in the wake of certain incidents concerning app-based taxis in other parts of the world. Safety and security are our highest priorities and we will not compromise on that,” said Shakeri. He added that having an integrated payment and booking platform is as much about offering people ease as it is about keeping things under control.